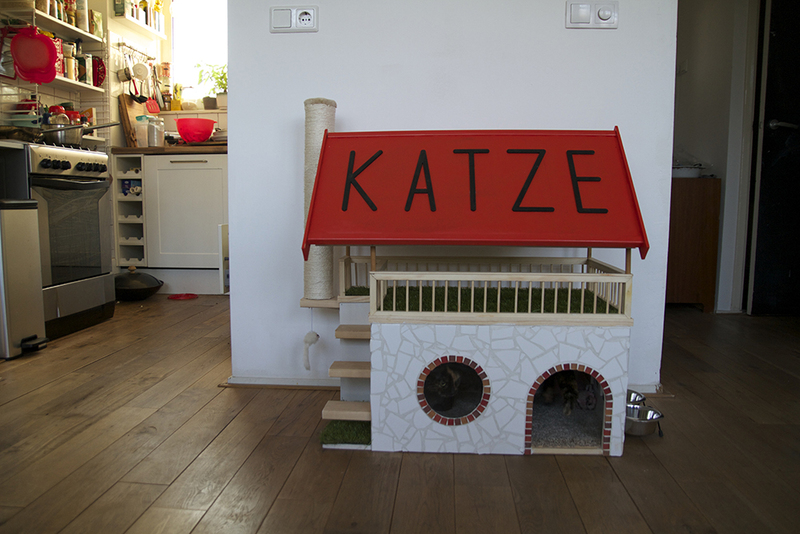 I built a house for my cats Fien and Willie. It’s a two-story house, covered with mosaic on the outside. The ground floor contains an exhibition with famous cats such as Catwoman and Garfield. The floor is covered with soft carpet and the ceiling with ornaments. The first floor is a big balcony, the same size as the ground floor. 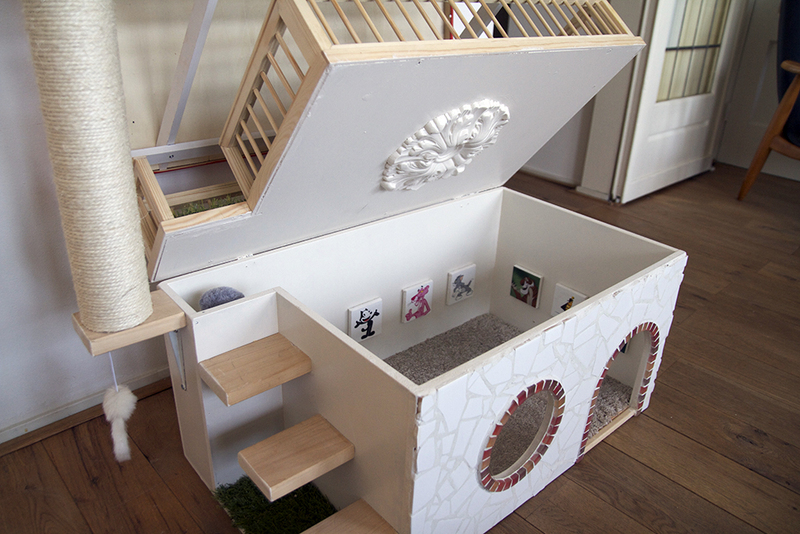 To reach the balcony you have to use the stairs, though Fien doesn’t understand that and prefers to jump in, in one go. 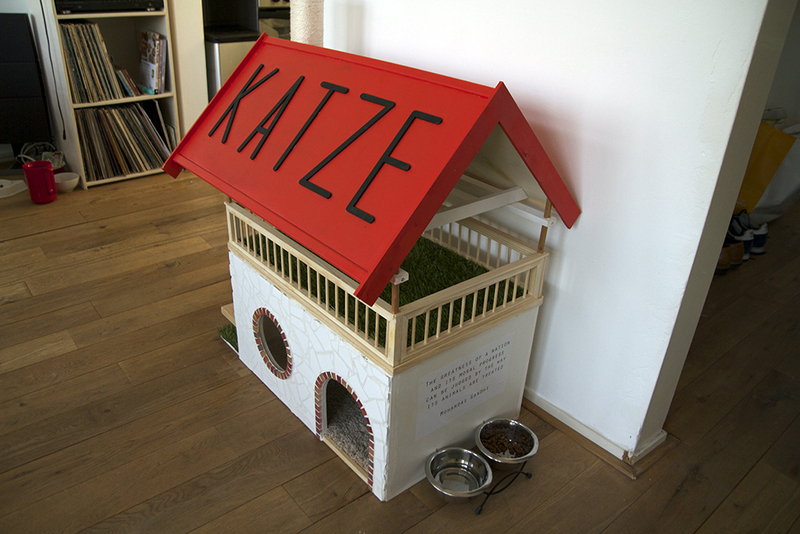 The balcony is covered with fake grass (cats like to lick fake grass). 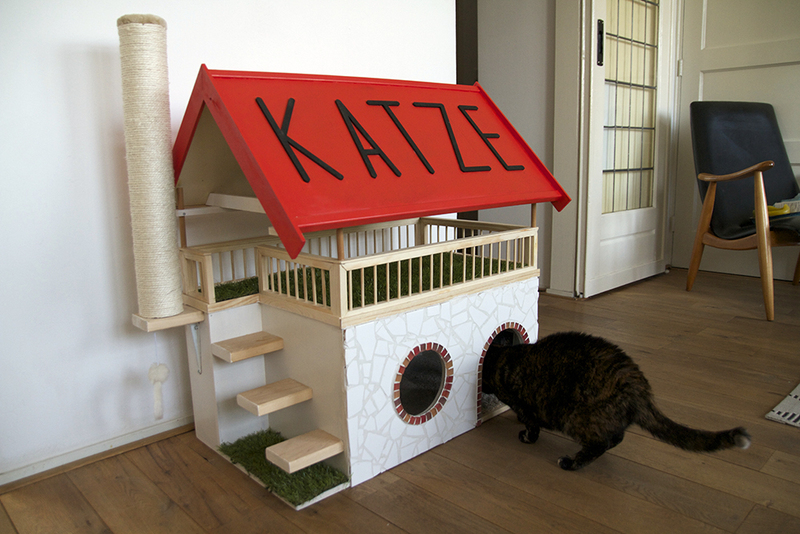 On the left outside there is a scratching post to keep in shape. 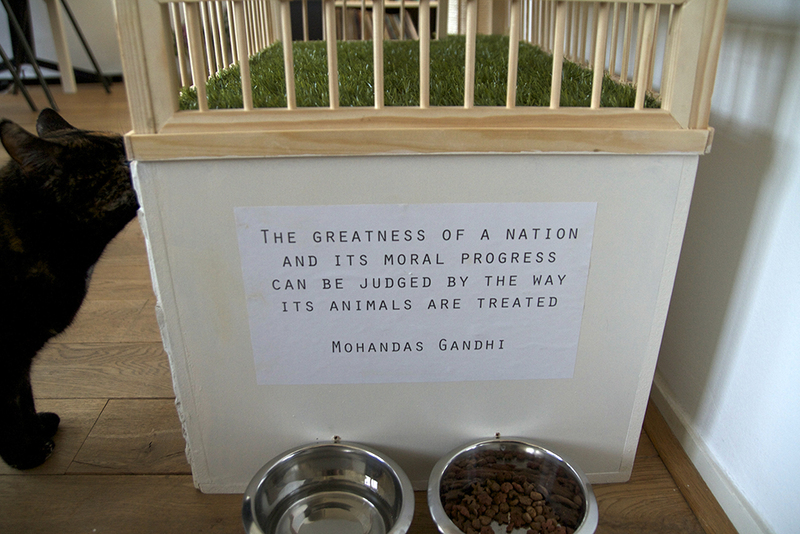 On the right outside there is a famous quote of Gandhi about the moral progress of a nation in relation to its treatment of animals.